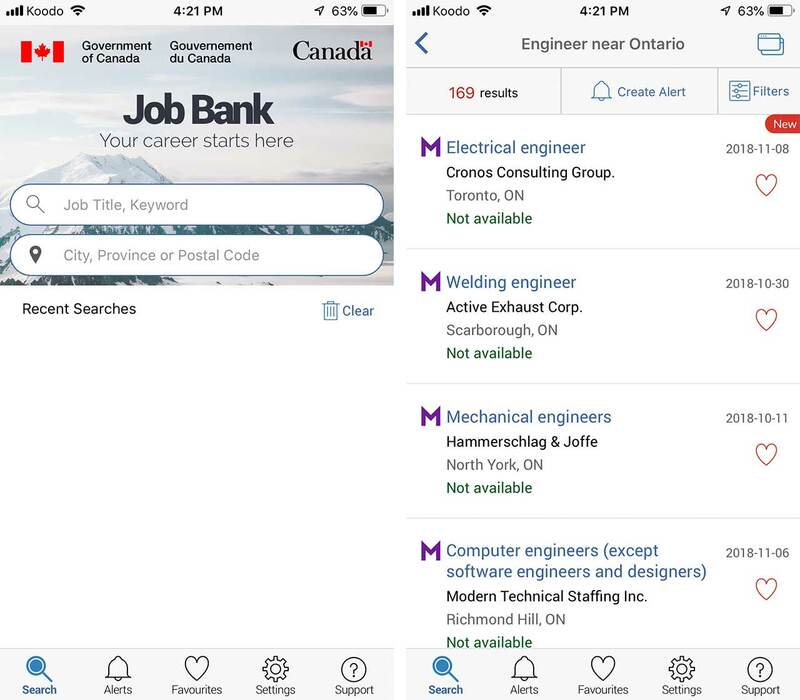 The Government of Canada has launched ‘Job Bank,’ a free bilingual Android and iOS app that helps Canadian search for jobs more easily. Building off of the Job Bank website, the app provides Canadians with “reliable and comprehensive job market information” directly from their phones, according to the government. Specifically, Canadians can browse through thousands of jobs and create ‘Job Alers’ to notify them of opportunities that come up for positions they’re interested in. The app also incorporates geo-location functionality to help users find jobs in a specified local area. Users can favourite a job at any time to revisit it later for more information or to apply for it. Job Bank was previously available to some Canadians through testing earlier in the year, but this marks the full official rollout on both Android and iOS.